Tulving's ideas are identified in the Specification, so you need to know about the different types of declarative and non-declarative memory, examples of them in use as well as how to apply them and evaluate the theory as a whole. Clive Wearing does NOT feature in the Specification so the Exam will never ask you a question about him. 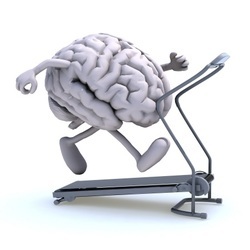 However, he is a good example of the differences between types of long term memory. This theory was proposed by Endel Tulving, one of the leading figures in memory research. It is based on the Multi-Store Model idea of LTM, but it suggests there is a difference between episodic memory (eg remembering a family holiday in Disneyland) and more general memory (eg knowing that Disneyland is in Florida). It shows how scientific research proceeds, because Tulving’s distinction is an advance on the Multi Store Model. It also ties in with Baddeley’s research into semantic encoding in LTM and the case studies of H.M.
Tulving makes a distinction between different types of LTM: procedural memory and declarative memory. Procedural memory is the memory of how to do things. It includes tying shoelaces, writing, tapping in your banking PIN and using a knife and fork. You may retain procedural memories even after you have forgotten being taught to do these things in the first place. Declarative memory is the memory of meaningful events. You might remember being taught to play the guitar, even if you’ve forgotten how to do it. Episodic memory is the memory of particular events and specific information: events, names and dates. It includes memories of things that have happened to you and information like a person’s address. Episodic memories seem to be perceptually encoded – they are linked to the 5 senses which is why they can be triggered (“cued”) by a sight or a sound or a smell. Tulving gives examples like remembering he has an appointment with a student the next day or recalling words from a list studied earlier as well as autobiographical memories (remembering details from your own past). Semantic memory is the memory of relationships and how things fit together. It includes the memory that you have brothers or sisters, where things are located and what they do. ​Semantic memory is needed for language because words have meaning – learning words in the first place involves episodic memory but once they are learned they go into the semantic store. Tulving gives examples like knowing that summers are hot in Kathmandu and knowing that July is the month after June. Clive Wearing is a musician who suffered brain damage from a viral infection (herpes simplex encephalitis) in 1985. He suffered almost complete amnesia. He also lost the ability to encode new long term memories. Clive Wearing forgets everything within 30 seconds and is always “coming into consciousness”, feeling he is waking up for the first time. However, although Clive Wearing has lost his episodic memory, he still has semantic memory. When his wife Deborah enters the room he greets her joyously, believing he hasn’t seen her for years or even that they are meeting for the first time (even if she has only been gone for a minute). Although he has no episodic memories of Deborah, he has semantic knowledge of her: he remembers that he loves her. Similarly, although he cannot remember their names or ages, Clive Wearing knows that he is a father and that he has children. Clive Wearing also has intact procedural memory. He can still play piano and conduct a choir – although he cannot remember his musical education and as soon as the music stops he forgets he was performing and suffers a shaking fit. Sir Colin Blakemore (1988) carried out a case study on Clive Wearing. 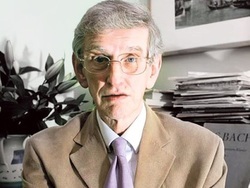 Blakemore discovered that damage to Clive Wearing’s brain had been to the hippocampus, which seems to be the part of the brain where the Short Term Memory (STM) rehearses information to encode it into LTM. The Contemporary Study by Schmolck et al. (2002) looks at other patients with amnesia because of damage to the hippocampus; it includes patients like Clive Wearing who suffered herpes encephalitis infection. These patients also struggled with semantic memory because of damage to the wider temporal cortex. Clive Wearing's case is fascinating and heartbreaking. However, Clive Wearing does NOT feature in the Edexcel Specification. The patient who does is H.M. (Henry Molaison) and you must not get the two men confused. This means that episodic memory can be “jogged” by context cues – things that remind you of when/where the original memory was encoded. Godden & Baddeley (1974) tested this and found that divers who learned words underwater recalled them better underwater than back on dry land. Episodic memory seems to be changed by being used. For example, when people recall and event, it gets re-encoded into LTM and may get altered as a result. This is how false memories occur. Semantic memory doesn’t seem to work like this. Your memory of relationships and meanings is not changed by being used and it can be quite separate from episodes. The most common symptom of dementia is difficulty to make new memories. STM (which rehearses information) is the first type of memory to go. Episodic memory is the next to go, as sufferers begin to forget autobiographical events. Usually, recent episodes are lost first, but sufferers still remember episodes from their young adulthood and youth. Semantic memory is lost later, when sufferers struggle with language and no longer recognise family members. 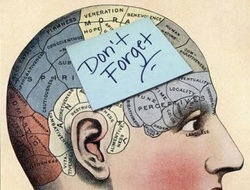 As the disease advances, parts of memory which were previously intact also become impaired. Eventually all reasoning and language abilities are disrupted. Patients tend to display a loss of knowledge of semantic categories. Initially, they lose the ability to distinguish fine categories, such as species of animals or types of objects, but, over time, this lack of discrimination becomes more general. At first, a patient with advanced dementia may see a spaniel and say, “That is a dog.” Later, they may just say, “That is an animal”. There’s a lot of research in support of Tulving’s distinctions. Some of this is case studies of amnesia patients like Clive Wearing who have lost episodic memory but still have semantic memory. The deterioration of dementia patients also suggests that episodic and semantic memory are separate because episodic memory is lost first and semantic memory last. The Classic Cognitive Study by Baddeley (1966b) also supports the existence of semantic memory. Baddeley found that participants struggled with word lists linked by a common theme, which suggests the semantic similarity confused LTM. Unrelated word lists were not confusing. This suggests at least part of LTM works semantically. The Contemporary Study by Schmolck et al. (2002) also supports the idea of long term memory being located in a specific part of the brain – the temporal cortex. Tulving carried out a case study of Kent Cochrane (K.C.) who suffered brain damage in a motor accident in 1981. Like Clive Wearing. K.C. 's hippocampus was destroyed in the injury and he lost all episodic memory. However, K.C. could still remember things he had learned in books, like dates or definitions (such as the difference between a stalagmite and a stalactite) - in other words, his semantic memory was still intact. This is evidence for a difference between episodic and semantic memory. An example of this is the case study of K.F. who suffered brain damage in a motorbike accident. Like Clive Wearing and K.C., K.F. suffered damage to the temporal lobe which made it almost impossible for him to rehearse new memories. However, Shallice & Warrington (1970) report that K.F. could still remember episodes. This is a problem for the multi store model (on which Tulving's ideas are based) but it does suggest that episodic memory is a special type of LTM. Wait - K.C. and K.F.? Are they the same? No - they're different, but they both had names beginning with K and suffered brain damage from a motorbike accident. It seems as if semantic and episodic memory both rely on each other and might not be all that separate. For example, if you learn that you husband or wife is unfaithful (episodic memory) you will probably trust them less (semantic memory) – which suggests that the two are linked. Damage to the temporal cortex of the brain seems to cause problems with both types of memory, as does dementia. This suggests declarative and non-declarative memory are located in the same place and may turn out to be the same thing working in different ways. Squire & Zola (1998) put this to the test. They examined children with amnesia (who never got a chance to acquire a semantic store in the first place) and adults with amnesia (who had semantic and episodic memories from before suffering brain damage). The participants' episodic and semantic memories seem to be equally impaired which supports the idea that the two memory functions are linked or even the same thing. What about K.C.? Squire & Zola propose that K.C. 's problems were due to damage to his frontal lobe - in other words, not a problem with his memories as such, more a problem with his ability to understand and make sense of his own memories. This leads ton the final criticism of Tulving's ideas - that it's really hard to define episodic and semantic memory in a measurable way. This means that Tulving's concepts are not operationalisable..
Tulving’s ideas tie in closely with Atkinson & Shiffrin's Multi Store Model of Memory, which proposes that LTM is a separate memory store from STM and that LTM is created through rehearsal. Tulving would agree, but argues there are different types of encoding, episodic and semantic. Shiffrin seems to have come round to this view and added Elaborative Rehearsal to his model in 2003. These ideas also link to the theory of Reconstructive Memory and Bartlett’s ideas about schemas. Schemas are meaningful patterns of information: they can be stereotypes, but they are also categories (“farm animals”, “kitchen appliances”) which might differ from person to person and culture to culture. In other words, they are separate semantic stores. If Tulving’s ideas are true, this makes Reconstructive Memory more plausible. If Reconstructive Memory is true, then semantic memory might have much more influence over episodic memory than Tulving imagined, because schemas influence how we reconstruct our memories. The distinction between semantic memory and episodic memory helps us understand patients with memory loss like Clive Wearing, K.C. or people in the early stages of dementia. Though they may be confused by their amnesia, they might still remember relationships and meanings and this could be used to calm and focus them. Showing these patients meaningful things and getting them to talk about the meaning can be a type of Cognitive Stimulation Therapy – such as getting them to talk about how familiar songs or activities make them feel. The distinction should help you with your revision. No matter how charming or colourful your teacher’s explanations are, those are episodic memories that are specific to the time and place you encoded them – your Psychology lesson, not the exam hall. Semantic knowledge can be recalled anywhere, without needing “cues”, but to encode things semantically you have to understand them. This means revising by creating your own mind maps, category lists and charts. Don't start with description: start with evaluation. Evaluation point + evidence = "logical chain of reasoning"
Conclusions are good if they are balanced - so long as you don't repeat yourself! Tulving’s ideas are credible because they are supported by lab experiments like Baddeley (1966b). Baddeley showed that LTM is confused by word lists with similar meanings. LTM must be encoded semantically because similar sounding word lists had no such effect. However, an objection is that the supporting studies lack ecological validity because they are unrealistic. Learning lists of similar sounding words is not an ordinary activity. This means the theory is based on research that lacks validity. Tulving's theory is good because it has real-world applications. You could help dementia patients by giving activities like singing songs that are semantically meaningful for them then asking them about their feelings. This is Cognitive Stimulation Therapy. Semantic Memory is an improvement on the Multi Store Model. It suggests there may be different types of LTM just the way Working Memory suggests there may be different processes going on in STM. It also has similarities with Reconstructive Memory because semantic stores seem to be similar to schemas. In conclusion, semantic memory is a very important idea because it explains how we link our memories together and how we learn things like language. However, sometimes episodic and semantic memory seem very similar. For example, if you know the end of a joke (episodic memory) you stop finding it funny (semantic memory), which suggests the two may not be so different. Notice that for a 8-mark answer you don’t have to include everything in the theory. I haven’t mentioned procedural memory or the different parts of the brain. I haven’t described Schmolck’s research into semantic LTM and brain damage. But I have tried to make the two halves – Description and Evaluation – evenly balanced. Apply the the concepts of long term memory. Greta has colour coded her Psychology revision, using blue ink for studies, red for theories, green for applications and pink for evaluations. Nigel figures he’ll remember his Psychology work in the exam because his teacher is always coming out with funny anecdotes. When they get their results, Greta has a much higher grade than Nigel. Semantic Memory would explain Greta’s memory. By colour coding her revision, she is putting it into semantic categories in LTM. Semantic categories are meaningful groupings. Whereas Nigel is depending on episodic LTM which contains memories of particular events. In the exam, he will have to try to recall a particular occasion when his teacher explained something. Tulving argues that episodic memory is perceptually and specifically encoded. This means it is hard to access episodic memories when you are in a different place and when there isn’t a context cue from the 5 senses. This would be a problem for Nigel in the exam hall. Semantic memory isn’t linked to any context. This makes it easier for Greta to recall information when she is not in her classroom and is not hearing her teacher’s voice. Notice that the question doesn't specify which memory theories you have to use.